Headaches are so common that most people ignore them as long they don’t interfere with work or personal pursuits. At most, the average person will reach for an over-the-counter painkiller to get a little relief. 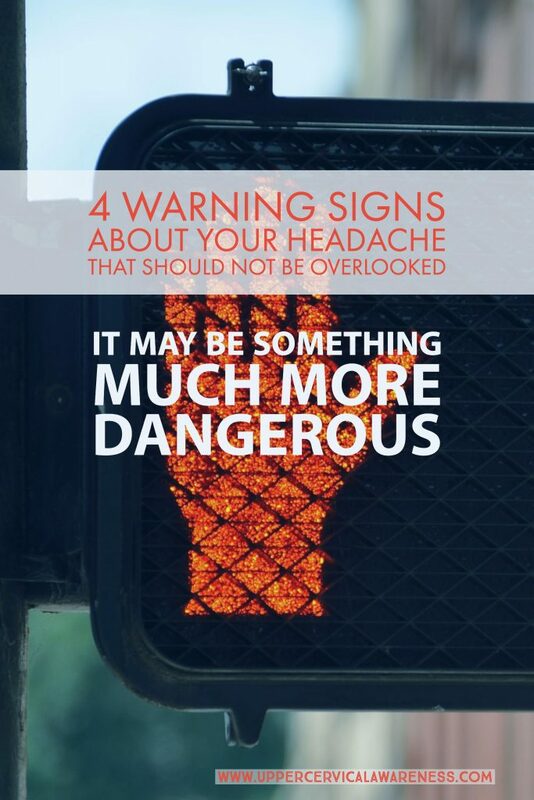 However, if you run into any of these 4 warning signs, you may need to be more concerned. If everyone in the house or office is starting to come down with a headache, you may need to step outside for some fresh air. Carbon monoxide levels can cause headaches, so if you don’t have a detector and everyone in the room has a headache, check to see if fresh air relieves the problem. If it does, you probably need to call someone in to fix the problem and then put up some carbon monoxide detectors. Headaches and migraines are common following head injuries such as a concussion. However, if an immediate headache sets in following a head injury, you may need to makes sure there’s no internal bleeding (especially if you are on blood thinners). A headache combined with a fever can be dangerous. In all likelihood, it’s probably something like the flu, but depending on other symptoms you may want to seek medical attention to rule out the possibility of a brain infection. Most headaches start gradually. Some come on quickly and are still just a normal headache. However, severe head pain that comes out of nowhere and won’t go away may be a sign of an aneurysm. Remember that pain from a ruptured aneurysm won’t just hurt for a few minutes and then stop. Hopefully, you never have to deal with the situations noted above, and most likely you won’t. Things like rupturing aneurysms and brain infections are quite rare. Most headaches are tension headaches related to stress and tension in the neck. Some are rebound headaches due to overuse of pain medication. Sinus headaches are also common. Upper cervical chiropractic can help with all of these common headache types by removing a frequent underlying problem – a misalignment of the C1 and C2 vertebrae. To learn more about what upper cervical chiropractic can do for headache sufferers, locate a practitioner near you and schedule a consultation.